A 17-year-old high school softball star with a college scholarship and an apparently bright future took her own life after a dispute with her boyfriend. Hannah Green of Amelia, Virginia, died on Jan. 13 of a gunshot wound to the abdomen. The Medical Examiner’s Office has ruled it a suicide according to WTVR. The 17-year-old senior at Amelia High School was found by police at a storage shed on private property in the Morefield Meadows subdivision—more details about the location have not been released. 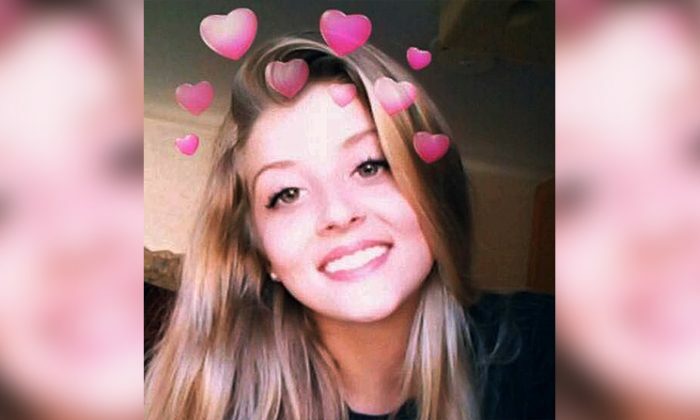 “The Amelia Sheriff’s Office received a report of a 17-year-old female with a gunshot wound to her stomach,” an Amelia Sheriff’s Office representative told WTVR. The deputies will not reveal what Hannah might have said before she died. Hannah’s father was equally bewildered. he said that as far as he knew, Hannah was happy and looking forward to playing softball at Longwood University after graduating from high school. Hannah’s biological mother Jennifer Riggan had some different information. Riggan told the Daily Mail that Hannah had had a fight with her boyfriend shortly before shooting herself. Riggan thinks that Hannah was so upset over the argument that she acted impulsively, not really considering the consequences. Jerry Shore, brother of Hannah’s stepmother Tina Green, said Hannah lived at home most of the time and occasionally stayed with her boyfriend. “It was kind of off and on, from what I understand,” Shore told Richmond.com. Hannah Green was not a moody, disaffected teen of the sort people might suspect as a suicide risk. Rather, she was happy, popular, athletic and active. Hannah was a star second baseman with the Amelia High School team, and also played volleyball. She had plans to attend nearby Longwood University in the fall. “She had been playing softball all her life, and Longwood wanted her to come out and play softball for them,” Shore told Richmond.com. Attendees at the vigil included the entire softball team and its coach, Robin Gary, as well as faculty from Amelia High School and softball players from surrounding schools. “God must have needed a second baseman,” coach Gary said to Hannah’s grieving friends and teammates. The Green family has created a GoFundMe page to try to help pay for Hannah’s funeral expenses.